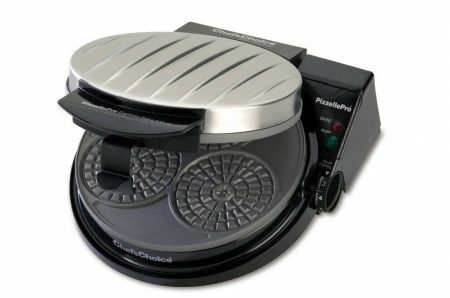 Whether you’re an avid pizzelle lover looking to replace an old grill, or you’re just wanting to bring back the nostalgia to share on occasion with the family, having the best pizzelle maker for the job is the only way to ensure you get that light, crisp, traditional style of pizzelle – just the way you remember them. In this article, we’ve rounded up the top 5 pizzelle makers we’ve come across. While there’s a broad range of them available today, each of these 5 are more than capable of producing dozens of great quality pizzelles. There are some minor differences, both in how they work and in the quality overall – but don’t worry. 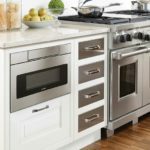 We’ve covered all the main aspects of each appliance below, so you know what to look out for – and what you will suit your personal taste the most. 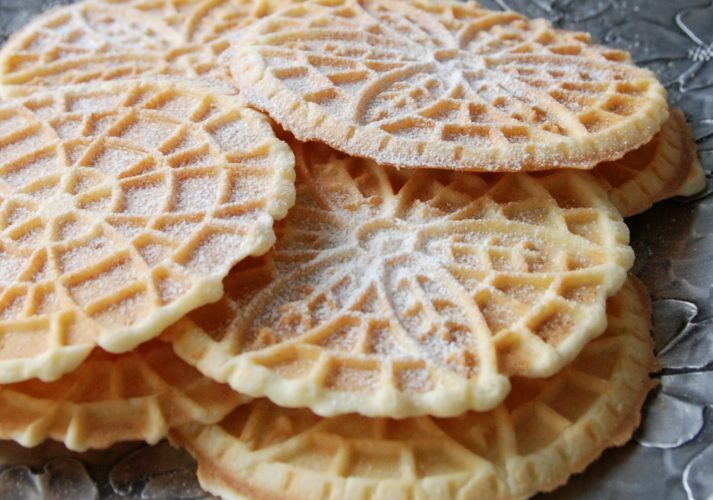 Need a great pizzelle recipe to go with your maker? We love this one! 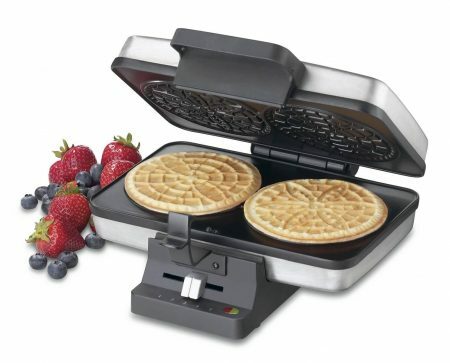 Our choice for the best pizzelle maker, overall, is the Palmer Pizzelle Maker Classic. It’s one of the last cast aluminium versions on the market that can still boast great build quality, and is U.S. made. It’s not as quick to heat as the modern electric versions, but the cast metal gives a truly authentic finish to each pizzella, something that you just can’t get with a teflon covered appliance. Worth every penny. If you’re after the most bang for your buck, then check out the Cuisinart WM-PZ2. This is a great all-rounder, and very beginner friendly. It comes with an indicator light that tells both when it’s ready, and when the pizzelle are done. With a finger-friendly latch and a dial to allow you to set what we can only call the ‘crispy-ness level’, this will more than do the job of letting you create some great pizzelle. When it comes to choosing the best pizzelle maker for your kitchen, there’s a few aspects that vary between the different models. These aren’t just differences in the pizzelle quality overall, but in how the appliance will meet your own personal needs. This used to be cast iron, but that’s typically been replaced with aluminium in more modern models. 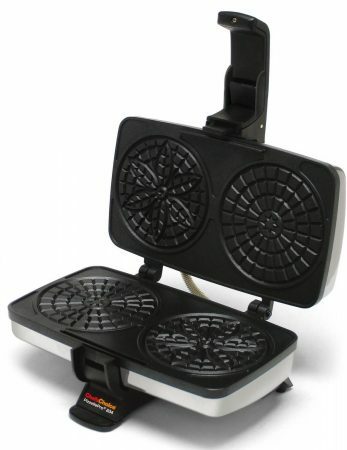 A real metal pizzelle maker is much closer to the authentic grills of old – they are sturdier than teflon models, and will last for years and years. They do need a bit more getting used to – including needing a ‘breaking in’ period otherwise known as ‘seasoning’ the machine. At first they may be a little sticky after use, but just like a cast-iron skillet, this will lock in more flavor for when you make more pizzelle in the future. This allows for a much crispier finish on each pizzella, something that you just can’t quite get from a teflon appliance. 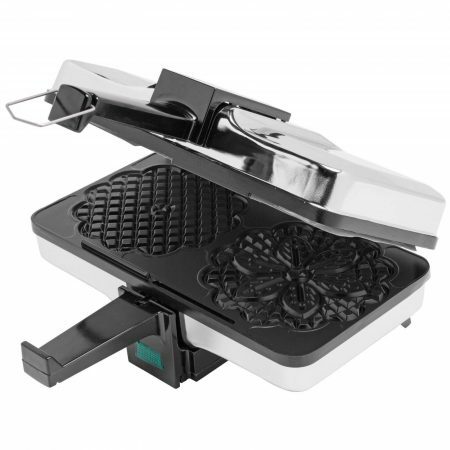 Metal pizzelle makers are ideal for those who are after real, authentic, crispy pizzelle – and are going to make them on a regular basis to get the most out of the extra flavor that the ‘seasoning’ of a cast-metal appliance. 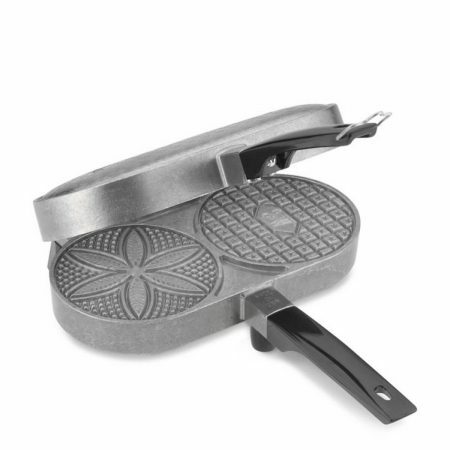 The typical modern pizzelle maker comes with a non-stick teflon covering, which allows for faster heating and an easier time getting the pizzelle out, and cleaning (though you do need to be careful not to scratch the teflon coating). Generally, teflon models are quicker, cheaper, and cleaner than the oldschool metal types – though they can’t quite claim to match the authenticity of their metal cousins. That said, this doesn’t mean that the pizzelle they make don’t taste just as good, just that it’s of a slightly different style. Teflon pizzelle makers are great for beginners, and those who will only use them occasionally. They’re a much easier tool to use, and will fill every need if you’re just wanting some pizzelle on occassion. Each machine will vary in the actual size of Pizzelle that comes out – with the standard size being 4¾”. Most models will give you a 5″ pizzella to work with, but some are slightly smaller. There are also variants which make smaller mini-pizzelle – which can be great if you’re looking to turn out some bite-sized cookies. The thinness of the pizzelle also matters, and typically comes from how well the latch of the pizzelle maker works to squeeze the two hot plates together. Unfortunately, as with a lot of modern appliances, the common solution is to fit on a cheap and unreliable plastic latch. If this is the case, you can always get a hot pad and push down on the top of the appliance. That old trick will actually make for better results with almost any pizzelle maker. There’s a lot of questions to be asked of hot appliances like a pizzelle maker. Is it simple to operate? Do you need instincts passed down from italian ancestors to judge the batter and timing, or are there helpful lights and instructions? How easy is it to clean? How often does bits of mixture stick to the hot plates? Is it built with care in mind, or is it going to burn your fingers unless you do everything perfectly? The answers to these questions vary with each model – and we’ve taken this into account into our recommendations in the list below. Finally, how good is the final product? A major aspect is how well each model distributes (and keeps) it’s heat, as well as how well the plates apply this to the pizzella mixture. 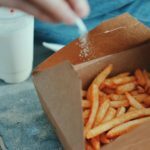 This also depends on your own personal taste – whether you want a really thin and crispy pizzella, or one with a bit more thickness and without more of a crunch. Build Quality – How well made the model is (regardless of whether it’s teflon or metal). Is it going to last, or need returned after a few uses. Does it give the same result everytime, or does the cooking time and settings required vary with each use. Pizzelle Quality – How does the final product taste, and look. How easy is it to get things right or wrong. Ease of Use – Considering factors such as whether it has a “ready” and/or “done” light, if you’re likely to get burned while using it, and if it’s easy to setup and store. Value – Considering the above, how well the price of the product reflect the value that it will give you. The cast aluminium metal makes for truly authentic pizzelle. Our #1 pizzelle maker is the Palmer Pizzelle Maker Classic. You just can’t beat good quality. Being sturdily U.S. made and proud, it’s one of the only metal pizzelle makers that still outshines it’s more modern teflon counterparts. Using a model that’s been tried and tested for over 50 years, it still cooks very quickly, and isn’t a problem to clean. But the real top issue is the authentic taste that comes from a seasoned metal pizzelle maker. That being said – we’ve put this model as #1 with true pizzelle lovers in mind. To get the most out of it, you’ll need to get the hang of how to use it (there’s no lights or guides to help you know when things are ready) – as well as use it enough to ‘season’ it properly before the real quality shines through. Show it some love and care though, and it will reward you for years to come (and a 5 year warranty to back that up). The true standout choice for anyone who want’s recreate truly authentic pizzelle. The Palmer Pizzelle Maker Classic is an investment for years to come – allowing you to, with a bit of practice, to recreate pizzelle that’s just as good as your grandma did. The overrun groove helps take care of any extra mess from the three pizzelle templates. Our number two recommendation came as a bit of a surprise – we didn’t expect to like this one as much as we have! The Chef’s Choice 835 makes three smaller (3 inch) pizzelles in place of the 5″ standard size. 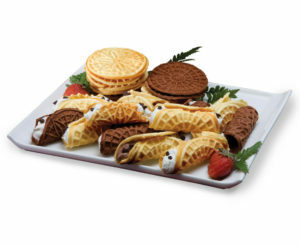 While you may think this is a disadvantage, these mini pizzelle are actually great bite sized treats for kids, party tables, or even just as light snacks. The Chef’s Choice makes it easy to almost mass-produce these, creating dozens in under half an hour. Not only that, but the machine is very beginner friendly. It includes lights both for when the plate is ready to bake, and when the pizzelle are done. This is in addition to a ‘crispyness’ dial, allowing you to control how crisp and crunchy you want your little pizzelle to be. Our only real gripe with the model is that the plastic latch is lacking in reliability. It does generally work – but you’ll more often than not need to put a hot pad on the top surface and apply some pressure while it’s baking. That said – this is a common issue for most modern models; definitely not a gamebreaker here. These miniature sizes open up a whole new world of pizzellebilities! (…sorry). A perky little model that packs some character. It happily churns out fun-sized pizzelle that will get everyone talking, while being much cheaper than the competition. On top of that, being very beginner friendly makes this our top choice for anyone who simply wants to enjoy making pizzelle in a fun way, without breaking the bank. Steam guards, extra thick plates, and 5 inch pizzelle templates makes this a teflon model ready to go the distance. The CucinaPro is our best recommendation if you’re serious enough to want a sturdy model that makes traditionally sized 5″ pizzelle, but don’t want to go through the learning curve of a fully metal model. With a solid build quality that includes extra thick plates for better heat distribution, the CucinaPro is a reliable model that is more than capable of producing great pizzelle for years to come. However, the good build quality has come with a trade-off, in that there’s no timer light to help you judge when the pizzelle will be done. 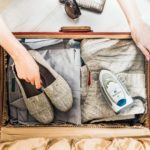 That being said – this isn’t exactly a deal breaker, you’ll just need to be prepared to have a full ‘sacrificial’ attempts to get the hang of things. A solid and reliable model, this would suit anyone who wants a modern non-stick model that still has the robustness to last for a good long time. What it lacks in dials and timer lights it makes up for in build quality. Spending a little time learning how to use it well will see you still reaping the returns years down the line. The second Chef’s Choice Pizzelle Maker to make our list – the ‘Express’ model really does what it says on the tin. This is one of the fastest producing pizzelle makers on the market, needing under 30 seconds to turn a spoonful of mixture into a crisp, thin pizzelle. A strong latch system which pulls both heat plates tightly together, in combination with extremely fast heating and non-stick teflon makes this a great model if you want fast results and are likely to have plenty mouths to feed. The only drawback is that, like other plastic latch systems, it has been reported to break eventually – though simply knowing this in advance and being appropriately careful should ensure it’ll last through plenty of pizzelle making nights. While it doesn’t have a timer light or other nifty features – you hardly need them. Click the latch into place, clap your hands, turn around 3 times, and hey – presto! Your crisp pizzelle are ready. A little powerhouse of a pizzelle maker – this Chef’s Choice really doesn’t hold back. If you’re wanting to make a lot of pizzelle fast, or just like your pizzelle very thin, then the excellent heating capacity and strong squeezing latch will suit you well. Just be ready to handle the speed! With an intuitive heat dial and helpful lights, the Cuisinart is really easy to use. Coming in close behind #4, Cuisinarts taken on the Pizzelle Press is a great all rounder, but on the smaller end – making 4″ sized pizzelle. Despite being smaller in size, the Cuisinart is very beginner friendly. The heat dial and lights being front and centre makes it really easy for anyone to create perfect pizzella from the first time. The only reason we didn’t put this in tied second place, is because it is a little more expensive than the Chef’s Choice 835, which also makes smaller 3″ pizzelle, but 3 of them! Other than that, the two appliances are roughly on the same level of quality and ease of use. Aside from the smaller size, our only complaint is again on the latch mechanism, which can be a bit fidgety and may break not too far down the line. Again, this is a common issue amongst most models, and some pressure onto the top of the appliance can fix this, but it’s something we’d all rather not live with. A great all rounder, which should have been tied for second place. While making smaller 4″ pizzelle isn’t a deal breaker, charging just as much as standard models versus the cheaper Chef’s Choice 835 (#2 on this list) does kick this into last of our top 5 list. However, that doesn’t take away from the Cusiinart being an ideal model for anyone who wants an easy to use appliance that will produce crisp 4″ pizzele. While we have listed the above models in a 1-5 list, all of the above pizzelle makers come with strong recommendations from us. While they each have their own small drawbacks, they’re all top tier models for what they do – which is why they’re in our top 5 list! That said, we have tried to order them based on our scoring process – to give you an idea of how much enjoyment and use we think you’ll get out of them in the years of pizzelle we’re sure are going to be in your future.